2014 Southern Heritage Classic in Memphis, TN. HBCU Football Classics are more than a game. They are a cultural experience, and a tradition that has been around for generations. Each year, thousands of faculty, students, alumni and fans flock to these major Black college events. Beyond the football games are a range of activities including tailgating, parades, college fairs, concerts, comedy shows, a Greek step shows, after parties, gospel brunches and workshops. These events positively impact their local economies and bring exposure to the athletic programs and the Universities involved. This year’s Classics brought a few changes and some surprises. The first ever HBCUX Classic featuring Texas Southern University vs. Central State University took place in Nassau, Bahamas on September 13. Back in States, the Atlanta Football Classic continued its downward spiral in attendance for the third year in a row. As a result, the classic was knocked out of the top five – leaving room for a newcomer. Other highlights include two Halftime shows gaining national attention. The Florida Classic halftime show featured the Florida A&M Marching 100 Band and the Bethune-Cookman’s Marching Pride Band. 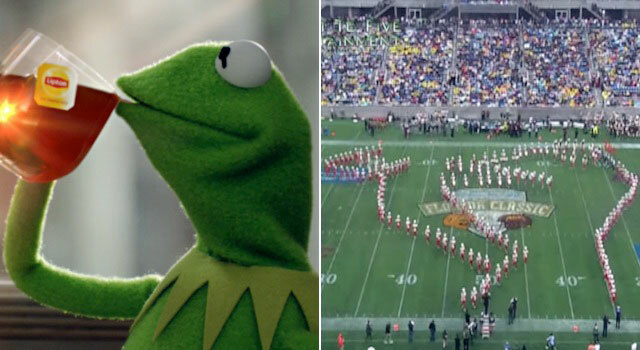 During the show, FAMU’s Marching 100 formed the Internet Meme of Kermit The Frog drinking tea; which went viral on the ‘net. Down in The Big Easy, the Bayou Classic’s halftime show featured Grambling State’s Tiger Marching Band and the Southern University Human Jukebox Marching Band. During the performance, The Human Jukebox spelled out the letters “Mary Me,” for an unforgettable marriage proposal. In case you were curious, she said, “yes” on the Jumbotron. This is just a snapshot of the HBCU Classic experience. Without any further delay – here are the Top 5 HBCU Classics for 2014 in order from smallest to the largest attendance. A new entry, the 17th annual Chicago Football Classic breaks in at number 5 position. 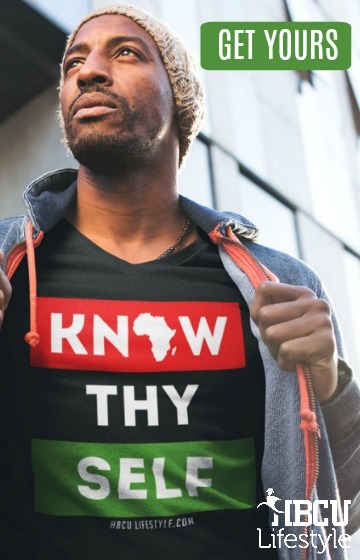 The Classic dates back to 1997 when a group of African American businessmen formed the event as non-profit organization. 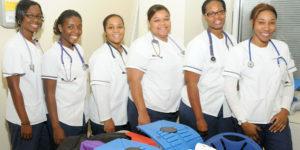 Their mission is to encourage black youth to achieve in school, and attend HBCUs. Past match-ups include Albany State vs. Kentucky State, Alabama A&M vs. Hampton University, and Alcorn State vs. Mississippi Valley State. 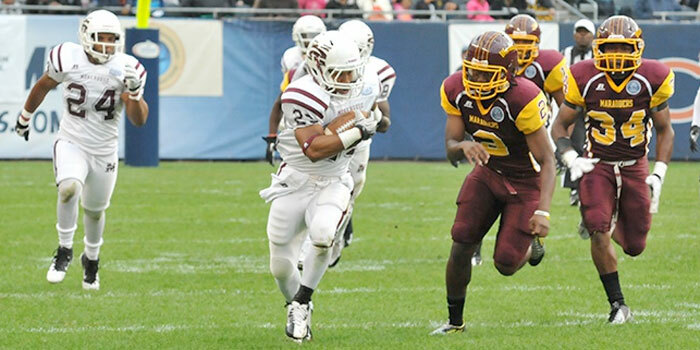 For the second time, the Chicago Football Classic featured the Central State University Marauders vs. the Morehouse Maroon Tigers. The Maroon Tigers scored early and often in the showdown against the Marauders. Morehouse stacked up 522 yards offense, with 452 yards through the air; leading to a lopsided victory in the legendary soldier field. The Maroon Tigers currently have a two-game winning streak in the Chicago Football Classic. Central State ends the season at (4-6, 3-4) and Morehouse closes at (6-4, 5-3). The Florida Classic was not able to maintain its attendance momentum in 2014, and slipped one spot to number four. Fans turned out despite the continuous showers, which was a possible factor in attendance decline. Those that braved the rain received an unforgettable experience at the newly renovated Florida Citrus Bowl Stadium in Orlando. The 36th Florida Blue Florida Classic was a nail-biter, and was the first of its kind in the long history of this interstate rivalry. 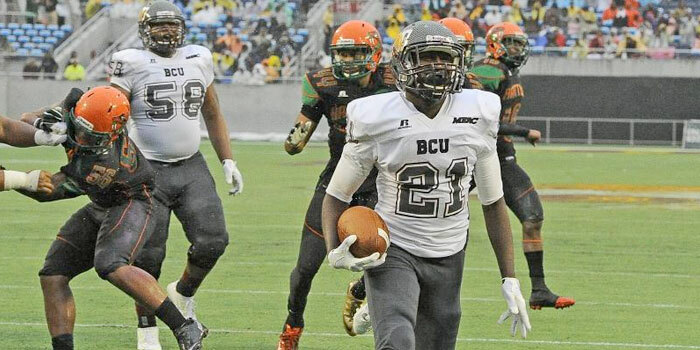 The Florida A&M Rattlers (FAMU) took on the Bethune-Cookman Wildcats (B-CU) in a defensive battle that remained scoreless in the first half, which is a first for the classic. By the time the fourth quarter came to a close, the game was tied at 10-10. The Wildcats’ quarterback ran in the two-point conversion in overtime to edge past the Rattlers for the victory. 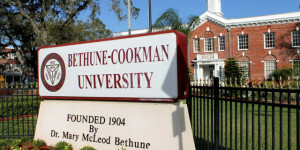 Bethune-Cookman currently holds a four-game winning streak in the Florida Classic. FAMU ends the season at (3-9, 3-5) and B-CU closes at (9-3, 6-2). FAMU leads the series 21-14. In the match-up between Jackson State University Tigers (JSU) and the Tennessee State University (TSU) Tigers; TSU dominated the game from the start to finish. The TSU tigers scored 35 points in the first half. As a result, JSU fell from the class of the unbeaten, losing to non-conference rival TSU. 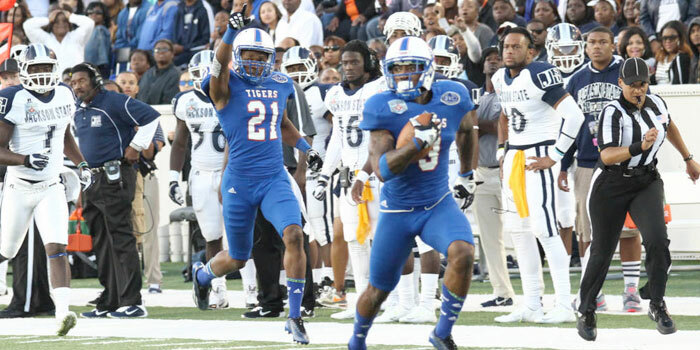 Tennessee State holds a three-game winning streak in the Southern Heritage Classic. JSU ends the season at (5-7, 3-6) and TSU closes at (6-6, 3-5). The 41st Bayou Classic firmly held its position as the 2nd most attended HBCU Classic with a gain of over 10,000 fans from last year (although, some reports claim less actual fans were in the stands). This is a significant shift in momentum from the previous two years. Much of the change can be credited to both teams having winning season. Notably Grambling State who had a 1-11-0 in 2013. There was a lot riding on this game because both teams came into the match-up tied for the SWAC West lead. 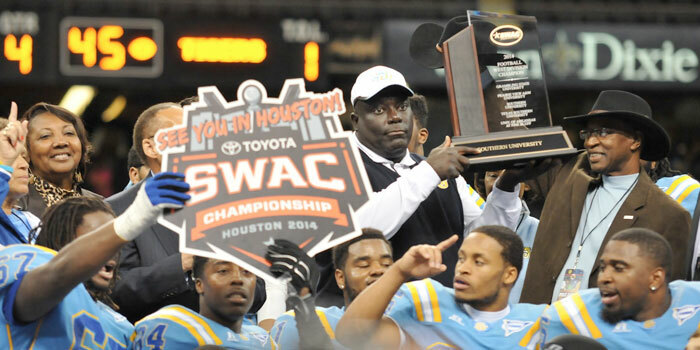 The winner would earn the division title, and move on the SWAC Championship against Alcorn State in Houston, TX. The offensive battle between the Grambling State University Tigers (GSU), and the Southern University Jaguars (SU) will be remembered as one of the best Classics in years. After the Jaguars had mounted a 21-point second half lead, the Tigers clawed back to within seven points in the fourth quarter. With under a minute in the game, GSU’s quarterback ran the ball to the one-yard line on fourth down with 12 seconds remaining. With only nine seconds on the clock, Grambling attempted a QB sneak, but the Jaguar’s front line came up with a huge stop. Southern held on for the win and its second consecutive divisional championship. The Jaguars leads the Bayou Classic in wins 21-20 overall. GSU ends the season at (7-5, 7-2) and SU closes at (9-3, 8-1). 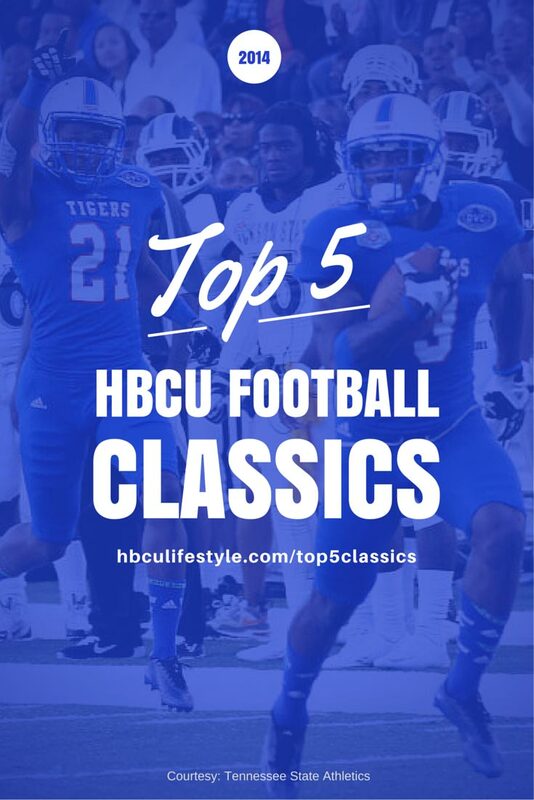 The 73rd Annual Magic City Classic has maintained its dominance as number one Black College Football Classic in the nation. 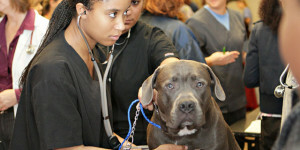 Year-over-year the event has been a major draw for loyal fans, students, alumni and even celebrities without fail. This year’s game was no exception, with an increase of 4,597 fans from last year – the classic is steadily moving closer to the goal of a sell-out crowd of 70,000. 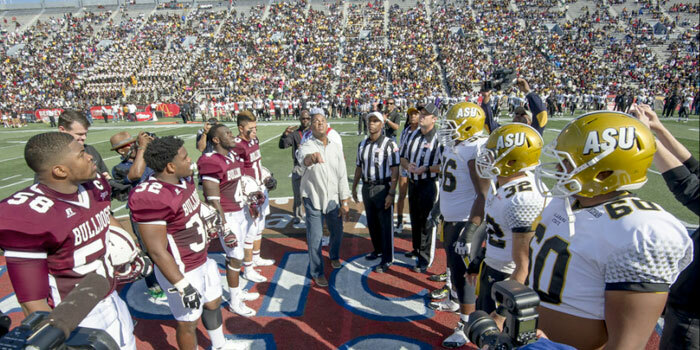 The nail biting match-up between Alabama State University (ASU) and Alabama A&M University (AAMU) can down to the very last play of the game. After erasing a 13-point first half deficit, AAMU watched a potential game-winning field goal hook wide left as they held on to defeat ASU 37-36, marking the first time since 2011 the Bulldogs have won the Classic. Alabama A&M has now won seven of the last 10 Magic City Classics but trails in the all-time series 37-38-3. ASU ends the season at (6-5, 5-4) and AAMU closes at (4-8, 3-6). Sources: Central Intercollegiate Athletic Association (CIAA), nola.com, Mid-Eastern Athletic Conference (MEAC), Bethune-Cookman Athletics, Florida A&M Sports Information, HBCUsports.com, Morehouse College Sports Information, Ohio Valley Conference (OVC), Southern Heritage Classic, Southern Intercollegiate Athletic Conference (SIAC), Southwestern Athletic Conference (SWAC) and The Bayou Classic.